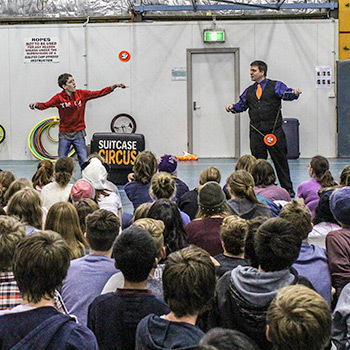 Suitcase Circus - WA's innovative mobile circus school. The world famous Suitcase Circus. 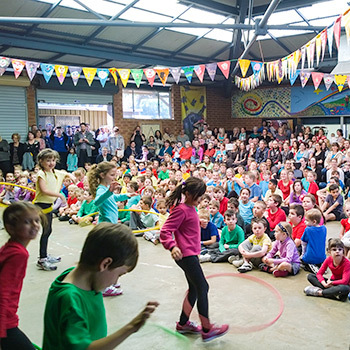 WA's innovative mobile circus school. 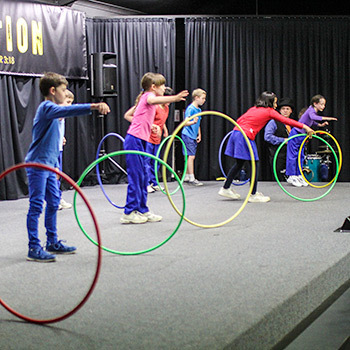 Shows & circus skill workshops. 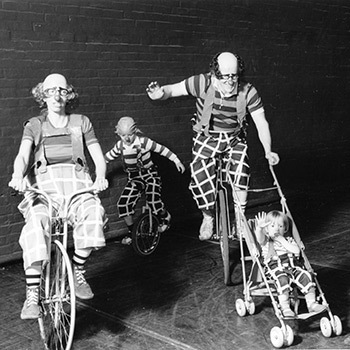 Inspiring social circus since 1975. 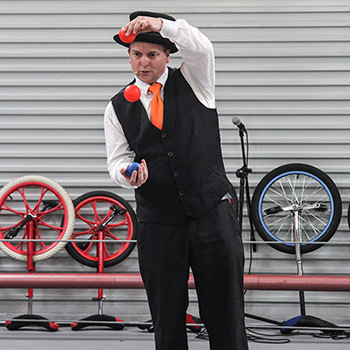 Our original circus-in-education programs are unparalleled. 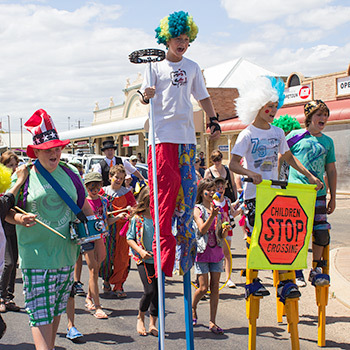 Hands-on circus sessions to engage a broad age-range of kids. Ice-breaking, team-building, energy-burning events 'r' us. 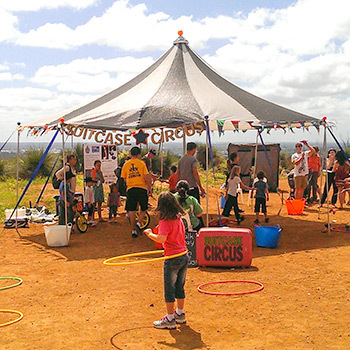 Everyone can enjoy a visit from Suitcase Circus. Skill cards, photos, videos, social media, things to make & do. 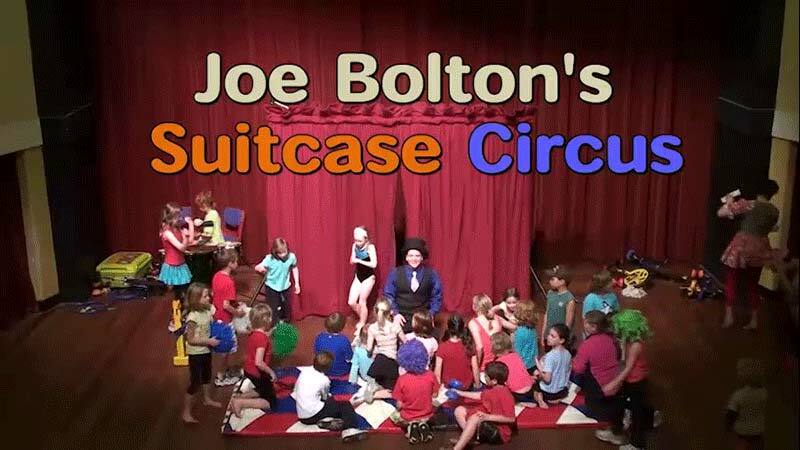 A professional circus teacher & performer with a lifetime of experience. A family operation pioneering social-circus for 40 years. 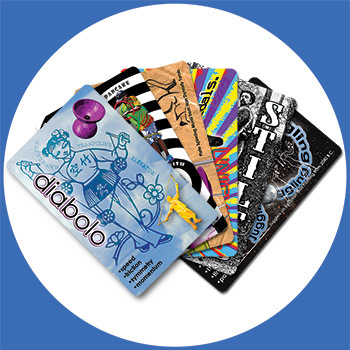 Visit our partners at The Circus Shop. All the good gear!